Gold kitchen taps and mixers with lots of choice in style and price are not as easy to find in today’s market, it seems that too many manufacturers have stopped making them making it harder to source traditional kitchen mixers so we have decided to point out an easy way to find good quality gold finishes at reasonable prices. 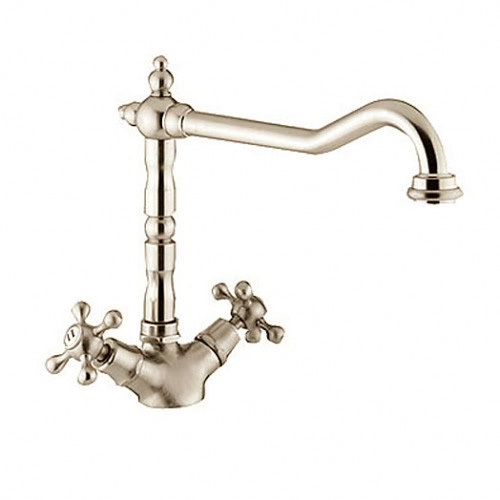 Our first example is the 1901 gold monobloc kitchen sink mixer pictured left this one is from Tapstore and is priced at £146.00 you can visit the product page here to get the full details. 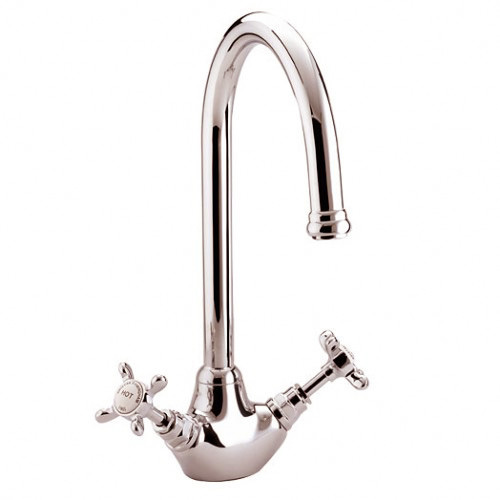 I also like the Baroc mono bloc kitchen mixer with its french classic styled spout pictured left which is available for £155.00 and also comes in antique bronze, brushed nickel or chrome finish, it has a little more opulence and a longer reach than the 1901 sink mixer making it a good all round practical tap as well. 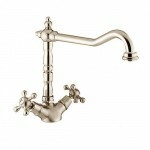 You can view these gold finish taps also called brass taps and mixers and many more on Tapstore.com’s web site click here to go directly to the websites page designed for gold Kitchen taps.